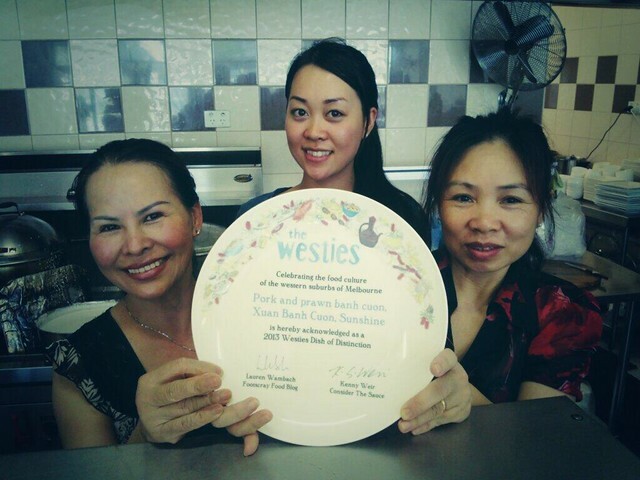 Footscray Food Blog: The Westies 2013 - the complete wrap-up, with winners! 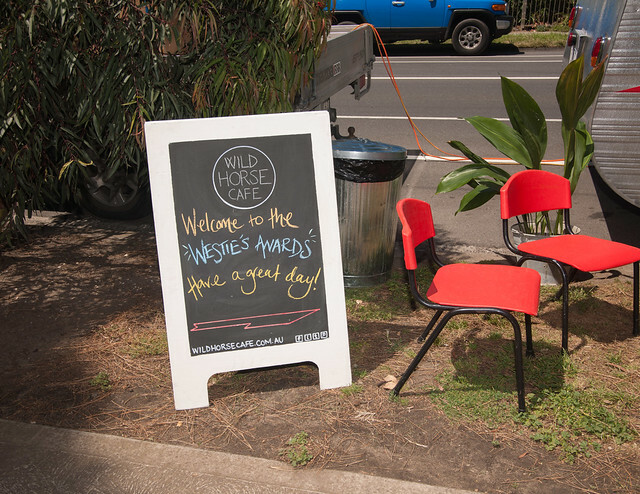 The Westies 2013 - the complete wrap-up, with winners! So the morning of The Westies, I was blow-drying my hair (after dusting the cobwebs off the hairdryer) and - 100% no BS - I found my first grey hair. It was 110% worth it. 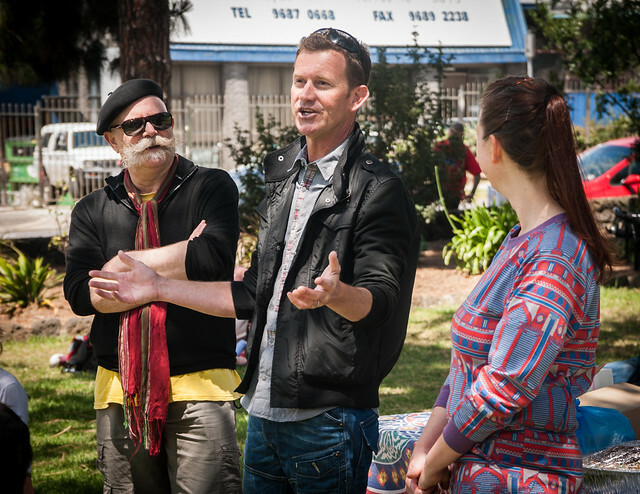 A crowd of about 70 beautiful people gathered in the sunshine at Yarraville Gardens to hear the announcement of the inaugural winners of The Westies: Dishes of Distinction. 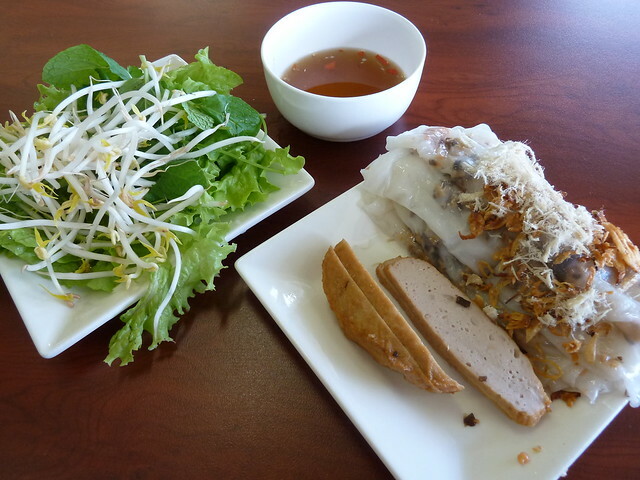 Pork and prawn banh cuon from Xuan Banh Cuon, Sunshine! Banh cuon are gossamer-thin rice noodle crepes - almost like a Vietnamese version of cannelloni. They are not that common to find in Melbourne, and when you do, often the noodle sheets are shop bought. Mum Xuan of Xuan Banh Cuon makes all of hers the old-fashioned way, pouring rice batter atop mesh-like material, stretched tight like a drumskin over a pot of simmering water. XBC's classic version is served filled with prawns, wood-ear mushrooms and pork that is minced in house to get it to just the right consistency. Topped with pork floss and fried shallots and served with dipping sauce and a forest of herbs - it is an instant Westie classic. XBC's Westie already has pride of place in the restaurant, as you can see from this photo I pinched from @sunshinephofever's Twitter feed! 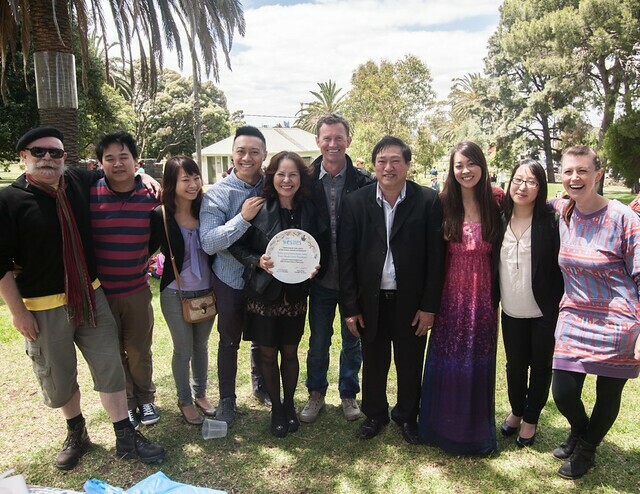 Carson of Xuan Banh Cuon spoke beautifully about how much this award means to his family, and how they feel it is a win for the whole community who have supported Xuan Banh Cuon since they opened just a few months ago. 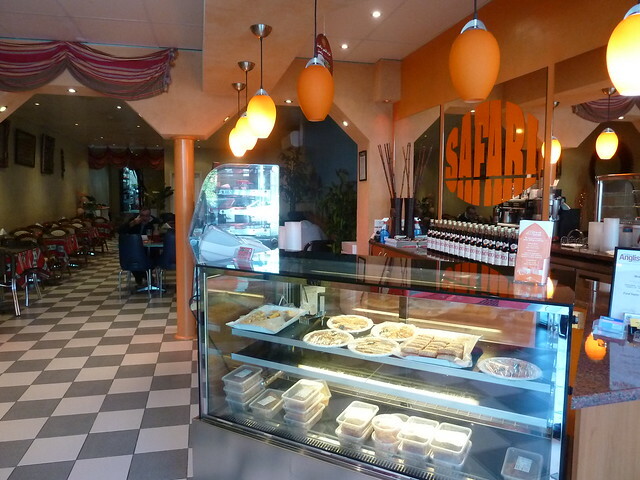 Chicken and rice "Regular" from Safari, Ascot Vale! 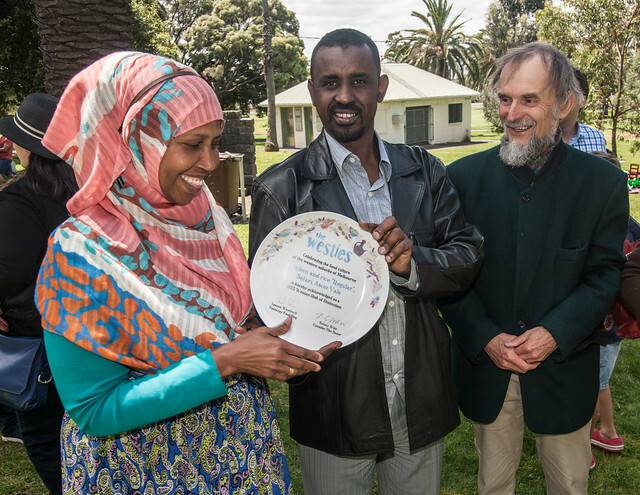 Congratulations to Mohamed and Fatima, and I confess - I love the name of this dish just as much as the components. Well, OK, maybe not quite as much, but I do love it. It's down the bottom of the menu as "The Regular", and you'd do well to become one here at Safari. 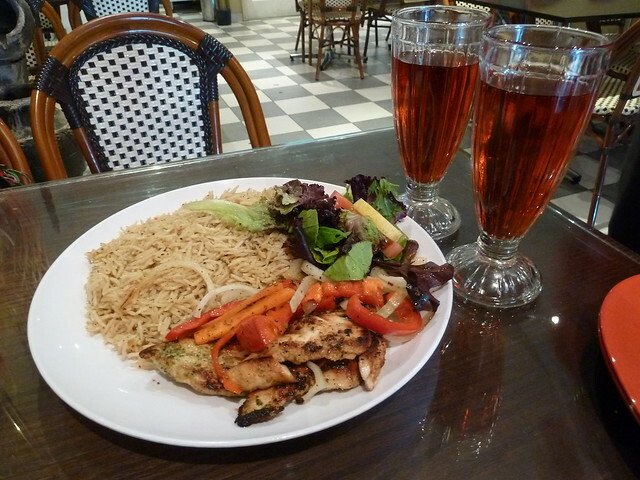 This Somali dish is a kingly two-course affair with drink for the grand sum of $13. It starts with a bowl of lemony, lip-smacking lamb broth, in which chunks of carrot and onion bob gently. You'll need to stipulate what sort of "Regular" you'd like (rice or spaghetti? Chicken, lamb or fish?) but we recommend opting for the rice and chicken version. You'll receive a heaping portion of glistening rice, each grain separate, redolent with rich stock, cardamom and garlic. The feast continues with tangy chargrilled chicken breast, crisp salad and my fave - quickly sauteed capsicum and garlic. 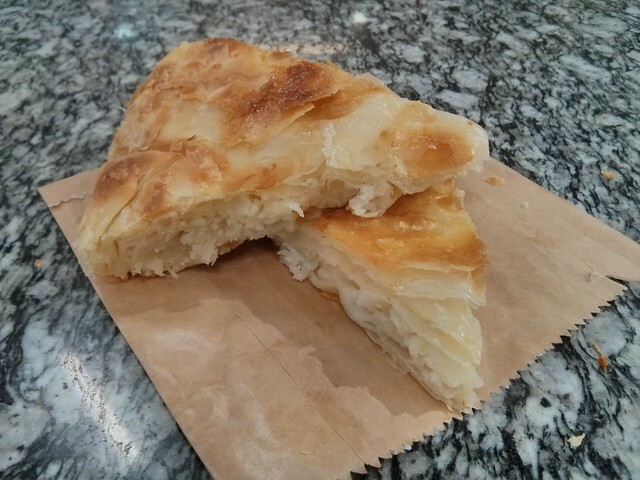 Cheese burek from Nada's Take Away, Footscray! I have a long history with this one. 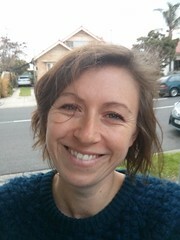 Eight years ago, I found myself in Footscray at least twice a week, looking at houses, newborn baby in tow. 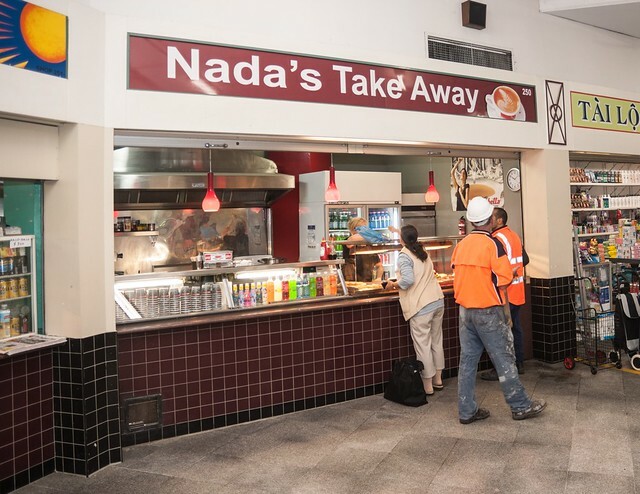 I'd always end the trip at the Footscray Market food court. I liked the congee from one little shop, but I remember one day hankering for a sneaky dim sim or two. I fronted up to Nada's but immediately I spied something else I knew I had to have. Nada and Cane (better known as Sonny) are of Macedonian heritage and Nada makes her own Macedonian burek for the shop, selling it in giant, warm wedges. She makes the whole thing from scratch, including the pastry. Imagine warm, soft curls of pastry, enclosing pockets of creamy ricotta, with a crisp and crackly outer shell... It is comfort food of the highest order. 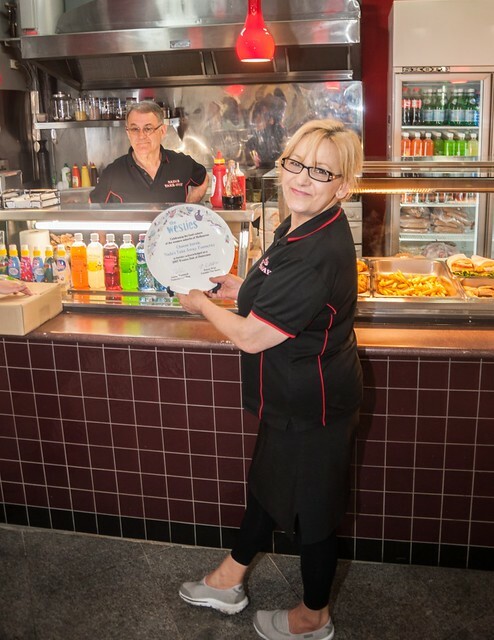 Sonny and Nada have run their shop at Footscray Market for 28 years. She said today that this is "the best present I ever got". 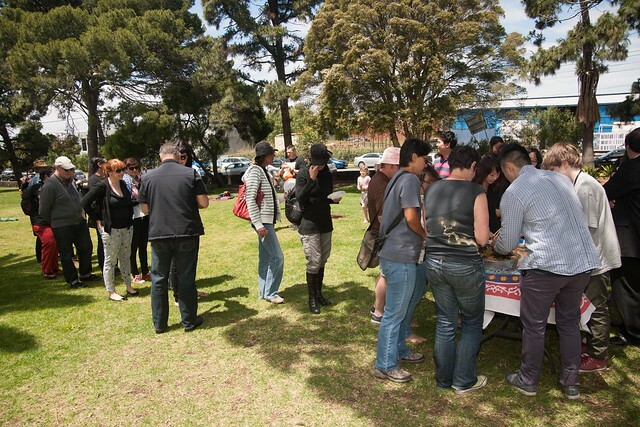 With the formalities done, it was time to enjoy the food and the sunshine. Xuan Banh Cuon had brought the most delicious Vietnamese coleslaw with green papaya and beef jerky to share. There are rumours this might become a menu item! 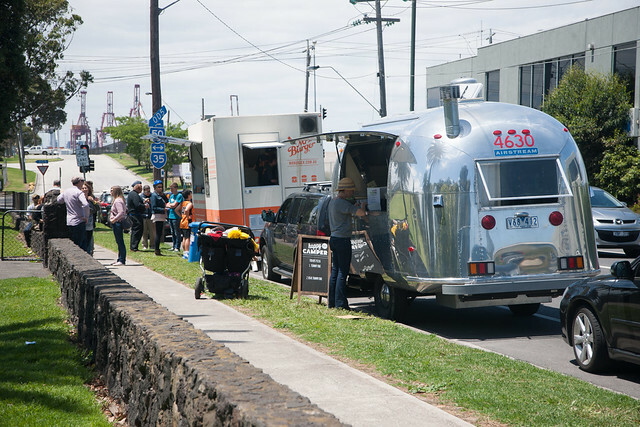 ...and it wouldn't be a celebration of all things food without some of our fave food trucks making a special appearance. WeFo locals Happy Camper Pizza brought us delicious pizzas, including a gorgeous gorgonzola and fig number, while the ever-awesome Mr Burger served up their namesakes with a smile. 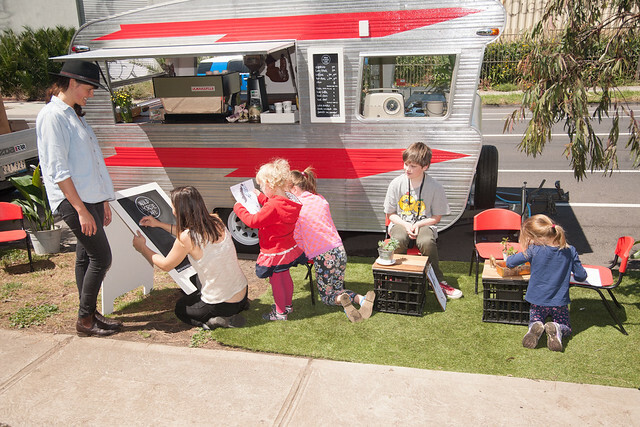 My eleventh-hour coffee campaign bore fantastic fruit - we were so delighted to have Christine and Kat from Wild Horse Cafe, serving excellent coffee with Coffee Supreme beans. Christine and I first made contact at about 10.30am Friday, and everything - power, water and permits - was sorted by 2pm. These chicks are on the ball! 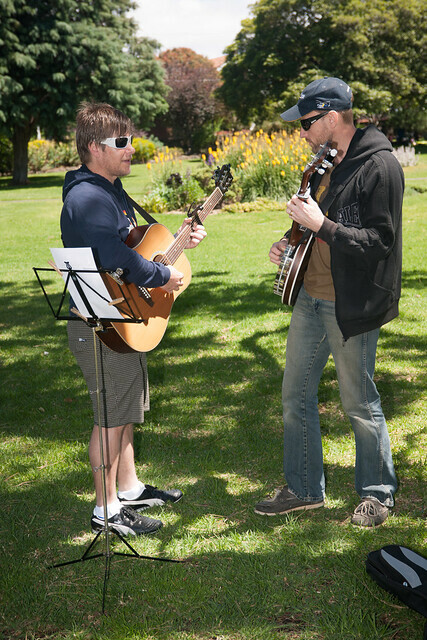 Kenny and I were so proud to be part of this event that brought together many different communities and celebrated how great we've got it in the west. We are already brimming and bubbling with new ideas for next year. So we will see you - and YOU, Grey Hair #2, because you're not allowed to emerge any time sooner - in Spring 2014! Thanks to Footscray Life for their generous financial support towards the design and production of our trophies. Thanks to my dad, Mike Reed, who took the fantastic photos on the day, and my sister, Liz Reed, who designed the plates. 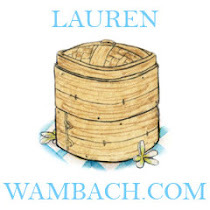 Great post, Lauren, and congratulations on the success of The Westies. Can't wait to try all these delicious prize-winners. Imagine how many more grey hairs you'd have by now had I not finally got connected by going out buying a sooper dooper mobile device a moth or so before things started getting real intense! Oh...my...God. I actually do not think The Westies could have happened if you did not have your sooper dooper device! Crazy!!! Hmmm... Ascot Vale on the wrong side of the Maribyrnong... generous with the awarding of a 'Westie' there Lauren and Kenny! Only joking... it looks a treat. Must. Try. Wanna argue the toss, with us, hey! Um, OK ... Seriously, I hadn't even thought of the river as a marker in that way. 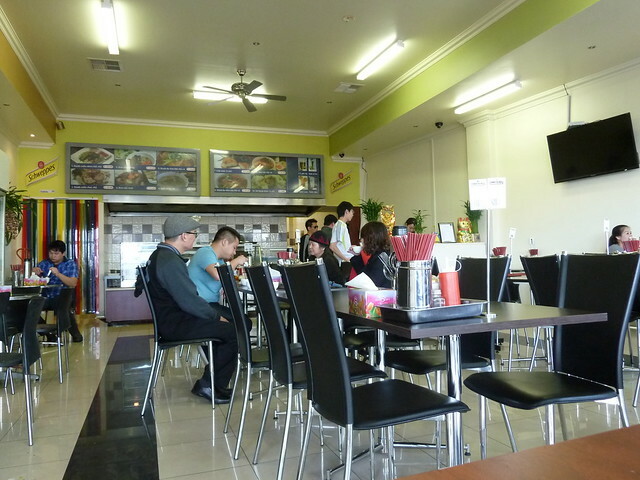 Both our blogs have covered Ascot Vale and Moonee Ponds. And as was argued in comments here a long time ago, it could even be argued that North Melbourne is west of the CBD/city. That is actually interesting about the river being a divider! I've always thought it was more like the Tullamarine Freeway divided east from west. Moonee Ponds, Ascot Vale, Essendon and beyond are certainly northwest rather than purely west - but they're still west, at least in our opinion! Thanks Benny! Glad you enjoy the blog. I would very much like to catch Mr Bean Rollin', he seems like a really nice guy. We tried to get him for The Westies but he was booked out!